Andreasen, Joel J. “Calvin Coolidge: Puritan Progressive.” MA Thesis. University of Massachusetts, 2004. Arnold, Gordon Dakota. “Calvin Coolidge: Classical Statesman.” Senior Seminar. Regent University, 2017. Blair, John L., ed. “The Clark-Coolidge Correspondence and the Election of 1932,” Vermont History 34:2 (April 1966): 83-114. Booraem, Hendrik V. The Provincial: Calvin Coolidge and His World, 1885-1895. Cranbury, NJ: Associated University Presses, 1994. Brown, Dorothy M. Mabel Walker Willebrandt: A Study of Power, Loyalty, and Law. Knoxville: University of Tennessee Press, 1984. Bryn-Jones, David. Frank B. Kellogg: A Biography. New York: G. P. Putnam’s Sons, 1937. Calabresi, Steven G. and Christopher S. Yoo. The Unitary Executive: Presidential Power from Washington to Bush. New Haven: Yale University Press, 2008. Campaign Speeches of 1932 by President Hoover and Ex-President Coolidge. Garden City, NY: Doubleday, Doran & Company, 1933. Cannadine, David. Mellon: An American Life. New York: Alfred A. Knopf, 2006. Coolidge, Calvin. Have Faith in Massachusetts: A Collection of Speeches and Messages. Boston: Houghton Mifflin Company, 1919. —. The Price of Freedom: Speeches and Addresses. New York: Charles Scribner’s Sons, 1924. —. Foundations of the Republic: Speeches and Addresses. New York: Charles Scribner’s Sons, 1926. —. The Autobiography. New York: Cosmopolitan Book Corporation, 1929. Coolidge, Grace. Grace Coolidge: An Autobiography. Eds. Lawrence E. Wikander and Robert H. Ferrell. Worland, WY: High Plains, 1992. —. “The Real Calvin Coolidge,” Good Housekeeping (February 1935): 18-21, 181-191. —. “The Real Calvin Coolidge,” Good Housekeeping (March 1935): 22-25, 214-227. —. “The Real Calvin Coolidge,” Good Housekeeping (April 1935): 38-41, 197-208. —. “The Real Calvin Coolidge,” Good Housekeeping (May 1935): 38-39, 247-259. —. “The Real Calvin Coolidge,” Good Housekeeping (June 1935): 42-43, 198-210. Cornwell Jr., Elmer E. Presidential Leadership of Public Opinion. Westport, CT: Greenwood, 1965. Curtis, Jane, Will Curtis, and Frank Lieberman. Return to these Hills: The Vermont Years of Calvin Coolidge. Woodstock, VT: Curtis-Lieberman, 1985. Danelski, David J. and Joseph S. Tulchin, eds. The Autobiographical Notes of Charles Evans Hughes. Cambridge: Harvard University Press, 1973. Dawes, Charles G. Notes as Vice President 1928-1929. Boston: Little, Brown, and Company, 1935. Dean, Charles J. “Mayor Coolidge,” Vermont History 24:4 (October 1956): 327-330. Felt, Benjamin F. “Some Points of View About Calvin Coolidge,” Vermont History 23:4 (October 1955): 312-317. Feltzenberg, Alvin S. “Calvin Coolidge and Race: His Record in Dealing with the Racial Tensions of the 1920s,” The Calvin Coolidge Presidential Foundation, 1988<https://coolidgefoundation.org/resources/essays-papers-addresses-34/>. —. The Leaders We Deserved (And a Few We Didn’t): Rethinking the Presidential Rating Game. New York: Basic Books, 2008. Ferrell, Robert H. Grace Coolidge: The People’s Lady in Silent Cal’s White House. Lawrence: University Press of Kansas, 2008. Fuess, Claude M. Calvin Coolidge: The Man From Vermont. Boston: Little, Brown, and Company, 1940. Gerhardt, Michael J. The Federal Appointments Process: A Constitutional & Historical Analysis. Durham: Duke University Press, 2003. —. The Forgotten Presidents: Their Untold Constitutional Legacy. New York: Oxford University Press, 2013. Green, Horace. The Life of Calvin Coolidge. New York: Duffield & Company, 1924. Griffin, Solomon Bulkley. W. Murray Crane: A Man and Brother. Boston: Little, Brown, and Company, 1926. Hannaford, Peter, ed. The Quotable Calvin Coolidge: Sensible Words for a New Century. Bennington, VT: Images from the Past, 2001. Hathorn, Guy B. “The Political Career of C. Bascom Slemp.” Diss. Duke, 1950. Haynes, John Earl, ed. Calvin Coolidge and the Coolidge Era: Essays on the History of the 1920s. Washington, D. C.: Library of Congress, 1998. Heller, Milton F., Jr. The President’s Doctor: An Insiders View of Three First Families. New York: Vantage Press, 2000. Hennessy, Michael E. Calvin Coolidge: From A Green Mountain Farm to the White House. New York: G. P. Putnam’s Sons, 1924. Hoover, Herbert. The Memoirs. 3 vols. New York: Macmillan Company, 1952. Howland, Hewitt H. Dwight Whitney Morrow: A Sketch in Admiration. New York: Century Company, 1930. Johnson, Carolyn W. Winthrop Murray Crane: A Study in Republican Leadership 1892-1920. Northampton, MA: Smith College, 1967. Johnson, Charles C. Why Coolidge Matters: Leadership Lessons from America’s Most Underrated President. New York: Encounter Books, 2013. Johnson, Paul. “The Last Arcadia,” Modern Times: The World from the Twenties to the Nineties. Rev. ed. New York: HarperCollins, 1991. Krug, Larry L. The 1924 Coolidge-Dawes Lincoln Tour. Atlgen, PA: Schiffer, 2007. Lathem, Edward C., ed. Calvin Coolidge: Cartoons of His Presidential Years. Plymouth: Calvin Coolidge Memorial Foundation, 1973. —. Calvin Coolidge Says: Over three hundred dispatches prepared by former-President Coolidge and syndicated to newspapers in the United States and abroad during 1930-1931. Plymouth: Calvin Coolidge Memorial Foundation, 1972. —, ed. Meet Calvin Coolidge: The Man Behind the Myth. Brattleboro, Stephen Greene Press, 1960. —, ed. Your Son, Calvin Coolidge: A Selection of Letters from Calvin Coolidge to his Father. Montpelier: Vermont Historical Society, 1968. Long, Henry F., comp. Public Record of Calvin Coolidge. Ms. Coll. 19. State Library of Massachusetts, Boston. Lynch, Cecelia. Beyond Appeasement: Interpreting Interwar Peace Movements in World Politics. Ithaca: Cornell University Press, 1999. Matthews, Jefferey J. Alanson B. Houghton: Ambassador of the New Era. Lanham: SR Books, 2004. McKee, John Hiram. Coolidge Wit and Wisdom: 125 Short Stories About “Cal.” New York: Frederick A. Stokes, 1933. Murray, Robert K. The Harding Era: Warren G. Harding and His Administration. Newtown, CT: American Political Biography, 1969. —. The Politics of Normalcy: Governmental Theory and Practice in the Harding-Coolidge Era. New York: W. W. Norton, 1973. National Notary Association. Why Coolidge Matters: How Civility in Politics Can Bring a Nation Together. Chatsworth, CA: NNA, 2010. Nicholson, Harold. Dwight Morrow. New York: Harcourt, Brace, and Company, 1935. Palmer, Niall. The Twenties in America: Politics and History. Edinburgh: Edinburgh University Press, 2006. Pietrusza, David. 1920: The Year of the Six Presidents. New York: Carroll & Graf Publishers, 2007. —, ed. Calvin Coolidge: A Documentary Biography. Church & Reid Books, 2013. —, ed. Silent Cal’s Almanack: The Homespun Wit and Wisdom of Vermont’s Calvin Coolidge. A Createspace Book, 2008. Quint, Howard, and Robert Ferrell, eds. The Talkative President: The Off-the Record Press Conferences of Calvin Coolidge. Amherst: University of Massachusetts, 1964. Randolph, Mary. Presidents and First Ladies. New York: D-Appleton-Century Company, 1936. Ranson, Edward. The American Presidential Election of 1924: A Political Study of Calvin Coolidge. 2 vols. Lewiston, NY: Edwin Mellon, 2008. —. The Role of Radio in the American Presidential Election of 1924: How a New Communications Technology Shapes the Political Process. Lewiston, NY: Edwin Mellon, 2010. Richardson, James D., ed. Supplement to the Messages and Papers of the Presidents. New York: Bureau of National Literature, 1929. Rogers, Cameron. The Legend of Calvin Coolidge. Garden City, NY: Doubleday, Doran & Company, 1928. Ross, Ishbel. Grace Coolidge and Her Era: The Story of a President’s Wife. New York: Dodd, Mead & Company, 1962. Rugg, Arthur Prentice. Calvin Coolidge Memorial Address Delivered before the Joint Meetings of the Two Houses of Congress as a Tribute of Respect to the Late President of the United States. US 72nd Cong., 2nd sess. Senate Doc. 186. Washington: GPO, 1933. Sawyer, Roland D. Cal Coolidge, President. Boston: Four Seas Company, 1924. Shlaes, Amity. Coolidge. New York: HarperCollins, 2013. Silver, Thomas B. Coolidge and the Historians. Durham: Carolina Academic, 1982. Slemp, C. Bascom, ed. The Mind of the President: As Revealed by Himself in His Own Words. Garden City, NY: Doubleday, Page & Company, 1926. Sobel, Robert. Coolidge: An American Enigma. Washington, D. C.: Regnery, 1998. Starling, Edmund. Starling of the White House. Chicago: People’s Book Club, 1916. Stern, Sheldon, ed. “Calvin Coolidge: Examining the Evidence: A Conference at the John F. Kennedy Library, July 30-31, 1998,” The New England Journal of History 55:1 (Fall 1998), 1-122. —. “The Struggle to Teach the Whole Story: Calvin Coolidge and American History Education,” The New England Journal of History 53:2 (Fall 1996), 38-52. Stoddard, Gloria May. Grace & Cal: A Vermont Love Story. Shelburne, VT: New England Press, 1989. Stoddard, Henry L. As I Knew Them: Presidents and Politics from Grant to Coolidge. New York: Harper and Brothers, 1927. —. It Costs To Be President. New York: Harper & Brothers, 1938. Thompson, Charles Willis. Presidents I’ve Known and Two Near Presidents. Indianapolis: Bobbs-Merrill Company, 1929. Thompson, Robert J. Adequate Brevity: A Collation and Co-ordination of the Mental Processes and Reactions of Calvin Coolidge, as Expressed in his Addresses and Messages, and Constituting a Self-Delineation of his Character and Ideals. Chicago: M. A. Donohue & Company, 1924. Tucker III, Garland S. The High Tide of American Conservatism: Davis, Coolidge, and the 1924 Election. Austin: Emerald Book Company, 2010. Tupper, Seth. Calvin Coolidge in the Black Hills. Charleston: The History Press, 2017. Van Til, L. John. 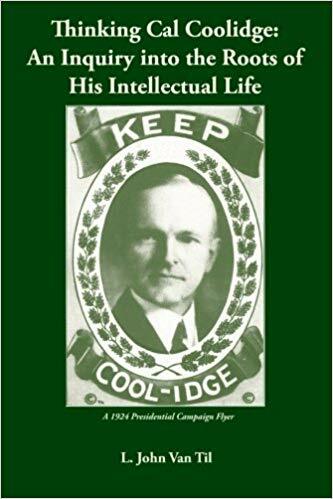 Thinking Cal Coolidge: An Inquiry into the Roots of His Intellectual Life. Pine Grove Publishing, 2015. 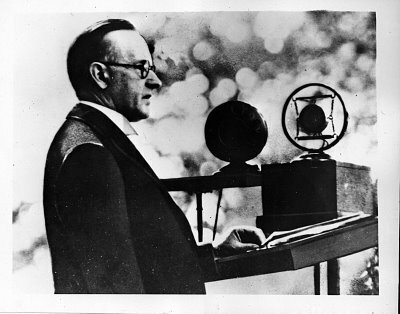 Wallace, Jerry L. Calvin Coolidge: Our First Radio President. Plymouth: Five Corners, 2008. Washburn, R. M. Calvin Coolidge: His First Biography – From Cornerstone to Capstone to the Accession. Boston: Small, Maynard and Company, 1923. Waterhouse, John A. Calvin Coolidge Meets Charles Edward Garman. North Clarendon, VT: Tuttle Publishing, 1985. Watson, James. As I Knew Them: Memoirs of James E. Watson, Former United States Senator from Indiana. Indianapolis: Bobbs-Merrill Company, 1936. Webster, Joel. “Coolidge against the world: Peace, prosperity, and foreign policy in the 1920s.” Masters Thesis. James Madison University, 2017. White, William Allen. Calvin Coolidge: The Man Who Is President. New York: Macmillan Company, 1925. Whiting, Edward Elwell. Calvin Coolidge: A Contemporary Estimate. Boston: The Atlantic Monthly, 1923. —. Calvin Coolidge: His Ideals of Citizenship as Revealed through Speeches and Writings. Boston: W. A. Wilde Company, 1924. Woods, Robert A. The Preparation of Calvin Coolidge. Cambridge: Riverside, 1924. Wright, Daniel L. Keeping Cool on the Campaign Trail: 101 of “Silent” Cal’s Insights on Voting, Campaigning, and Governing. A Createspace Book, 2015. Crackerpilgrim.com is a participant in the Amazon Services LLC Associates Program, an affiliate advertising program designed to provide a means for sites to earn advertising fees by advertising and linking to amazon.com.